This oil is extracted from Cedar tree. Also called as Cedrus, it is a genus of coniferous trees in the plant family Pinaceae. These trees are native to the mountains of western Himalayas and the Mediterranean region, found at altitudes of 1,500–3,200 m in Himalayas and 1,000–2,200 m in Mediterranean. This oil contains a-cedrene, b-cedrene, thujopsene, other sesquiterpenes, Himachalene cedrol and widdrol. This oil finds application in products that require resistance to weather, such as shakes and shingle. 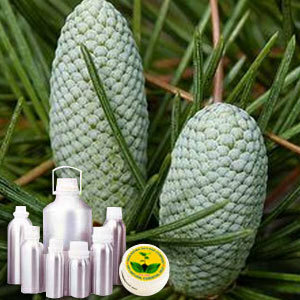 Therapeutic Grade Cedarwood Oil recommended due to its various therapeutic properties which include - Anti-catarrhal, anti-inflammatory, antimicrobial, antiphlogistic, antiseptic, astringent, balsamic, carminative, cicatrisant, emmenagogue, expectorant, fungicidal, sedative, digestive and pulmonary stimulant, stomachic, tonic, uterine and vulnerary.